London Science Tutors assists students to prepare for their Common Entrance exams – giving them the best opportunity of going on to get a great education at the desired school of their choice. We provide the following specialist Science and Maths Guidance and Resources for children aged 11-12 years old. Do you feel too busy to help your child from falling behind their potential with Science and Maths? Here’s how you can easily support your child to get ahead for 20 minutes every Sunday evening. Extra practice over the weekend: We provide weekly homework on Fridays for your child. Clear worked solutions: Sent to you on Sunday afternoons, allowing you to sit with your child and check their work quickly and easily. Develop your child’s untapped potential: Our worksheets are aimed at children who are being let down by the fixed pace of the classroom. At LST we have a team of tutors and teachers dedicated to developing resources to help children aged 11-12 improve their Science and Maths. Building on our cumulative experience, we have developed a deep understanding of the learning process at these ages, as well as the most effective ways to improve academic performance and prepare children for their entrance exams and beyond. And want to improve their Science and Maths beyond the classroom. They are unexcited by the dry teaching of Science and Maths. Securing entrance to the right school at this point in your child’s education is of the utmost importance. This school will provide the grounding for GCSEs and A-Levels, which has a direct influence on their future university options. The 11+ Exam focuses on English, Maths and Verbal and Non-Verbal Reasoning. The 13+ Exam tests a wide range of subjects – including Maths and Science. The Common Entrance exam is taken by children in the UK as part of the admission process for academically selective secondary schools. The majority of schools use a standardised test provided by ISEB, although some schools require candidates to sit their own internal papers. When sitting the 13+ Common Entrance exams, it is compulsory to take papers in English, Maths and Science. Additional subjects may also be offered on top of this core. 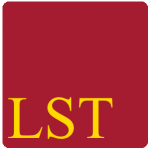 LST Tutors have experience of preparing students for both the Maths and Science papers. As well as providing support by going through and discussing past papers, we also work to ensure that your child is comfortable with all aspects of the syllabus prior to the exam. 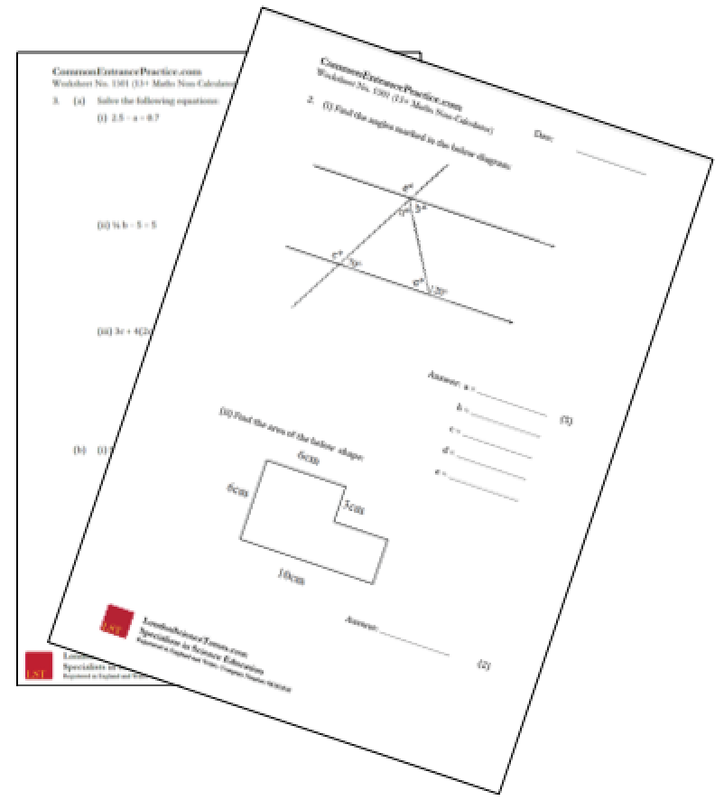 A range of Common Entrance resources, including past papers, can be found here. If you are interested in arranging Common Entrance sessions for your child, please contact us. The standardised Common Entrance exams are available to buy from the ISEB website. Many schools provide their own Common Entrance level exams on their websites, which can be very helpful for practice. LST also provide worked solutions for the Eton College Kings Scholarship papers. These papers are more difficult than the regular Common Entrance papers, but provide an excellent stretch opportunity for the more able student. The following revision guides have been developed by the ISEB to help children to prepare for the Common Entrance. The Common Entrance syllabus is available from the ISEB website.